Yeah, though Craig had some good points, the Pre situation now isn't anywhere near as bad as the iPhone was 2.x years ago. 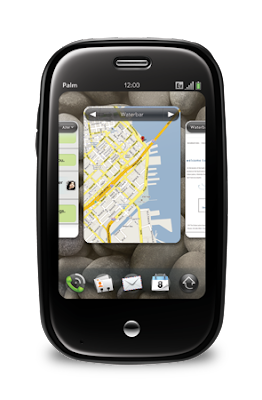 It seems like a definite lack of foresight on Palm's part not to write or acquire a software driver. I mean, they chose to use that chip. They saw what was happening with the App Store. I mean, how does writing a driver for the chip they chose to use not get put pretty high on their to-do list? @Jeff LaMarche I agree, I think a proper hardware driver is a must, but I'm coming at this from the Apple point of view; they've used OpenGL as the base of all their platform UIs for many years now. Other phones in general do not; Android's graphics are mainly software based, even though there is an OpenGL|ES stack. Nokia doesn't use OpenGL for their UI either. We can forget Windows Mobile and Blackberry. Hopefully the other manufacturers will pick up the slack in time, but it certainly testifies to Apple's robust graphics stack. From all I can see, Palm is trying to be a better Apple, so hopefully they'll investigate a true OpenGL|ES-backed UI for the entire OS. "There is no other 'native' API; all applications, including the entire system shell, are built the same way and have the same capabilities." Not true. Classic is a native application. One of the first files you need to create a webOS app, appinfo.json, even has a required type tag where you choose between "web" and "native". Palm doesn't have a *public* native API yet, but it's in there. @Anonymous Classic is a WebKit Plugin; the plugin is included as part of the OS when you buy a Pre. The Classic 'app' is just a thin front end to said plugin. Virtually all it does is display an embed view and a few other minor things. So no, Classic is not a native application. Steve, do you have the WebOSDoctor "jailbreaked" availble for DL? I am not able to do the mod's myself, and i have a Sprint PRE here in NL. Hope you can help?